Mohammad Asadi Lari was born in Iran and spent the majority of his childhood in the UK and his teens in his homeland. He completed his undergrad at the University of British Columbia. During that time, he became a co-founder of STEM Fellowship. 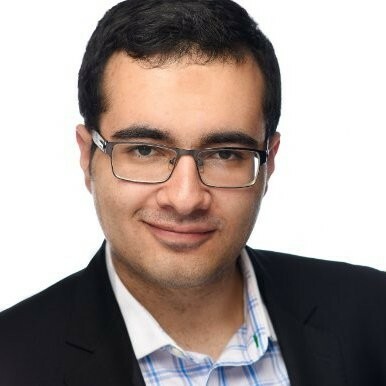 He’s been a youth engagement advisor for the Canadian Red Cross, the Canadian Commission for UNESCO, the Canadian Institutes for Health Research, TELUS World of Science and the League of Innovators. He is currently starting his first year as an MD/PhD student at the University of Toronto. What does your startup/non-profit do and what’s your role in it? 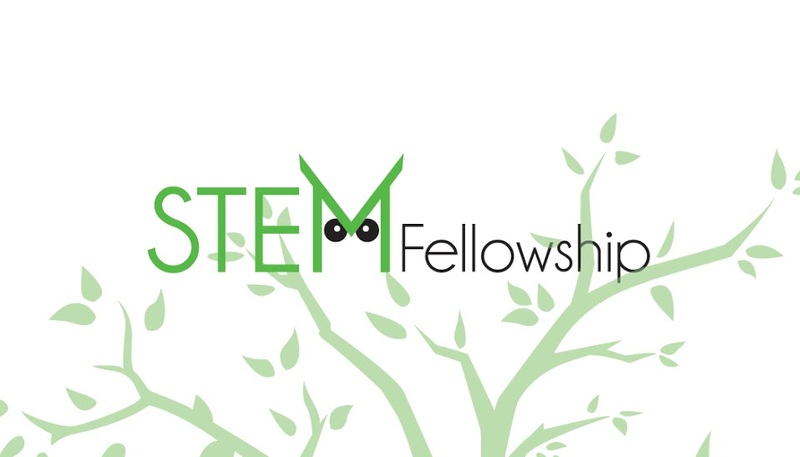 “STEM Fellowship is a youth-led national network and non-profit that provides mentorship and experiential learning opportunities for high school and undergraduate students in STEM education. Why is this your passion? What inspired you to create the startup in the first place? “My passions are in the sciences and research. The prospect of novel educational approaches inspired me to get involved in STEM Fellowship’s early days. However, it’s interesting that over time, I’ve also developed a passion for the concept of organization building, mobilizing peers, setting a vision and working towards it. I’ve sort of fallen in love with the process as well. How did you turn STEM Fellowship from an idea into an organization? It started with us having two initiatives already in place: the Big Data Challenge and the STEM Fellowship Journal. Both were niche programs, but on the face of it, they seemed unrelated. We started as a small group, but over the summer of 2015, as we recruited an initial group of enthusiastic high school and undergraduate students, we started seeing the potential in actually establishing a network that would span the country. That’s where our high school ambassador program and our university branches program began. Both of those are in a way the backbone of our organization today. While both the BDC and the journal remain our flagship programs, we’ve developed a range of initiatives in both data science education and scientific communication that act in conjunction with them. The speed of growth is unbelievable, especially when you’re able to keep the momentum by establishing new goals and creating new challenges that the team has to face. The flip side is that it’s possible to become “too big” and either reach a point of stagnation or in-cohesiveness within the organization. 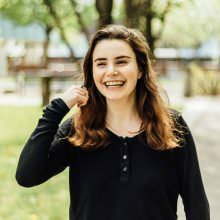 Another thing that is common with student-led charities and non-profits, big or small, is sustainable leadership and managing the inevitable transitions. That’s why one of our key focuses is developing leadership talent, equipping our national and local student execs with the skills, confidence and room for growth to develop as leaders, both guaranteeing a bright future for SF and for the individuals regardless of their career path. What’s in store for the future of your startup in the short term and long term? What are your biggest goals? Part of our goals are specific: finalizing our status as a federal charity, achieving a sustainable stream of funding from federal grants and increasing funding from corporate sources, but also giving more structures to other sources of revenue (memberships, licensing and workshops) to keep our organization going. I also think SF needs some major refinement of its mandate now that it has grown at the level that it has — from coast to coast. This entails our branding, our programs, internal and external perceptions of the aforementioned, and the continuum of experiences that we provide starting in school and throughout undergrad, or even graduate or post-grad. We’re still an underutilized network, and there are great things we could do with our collective abilities and strength, from acting as a resource for youth engagement in STEM to providing insight and support to policymakers, corporations and civil society. Also, we have developed our own unique pedagogical approaches that can impact both how we approach STEM education and its intersections with global citizenship. How can high school/university students get involved with your startup? What tips would you give to a high school or university student looking to create and run their own startup? Think big: Cliché, yes. It’s important to think of the bigger picture, but remind yourself that big things start with small steps. As someone recently said to me: “Dream big, act small.” This is crucial for anything you want to do, but especially in building an initiative that will ultimately make a broader impact. Think of how you can be a changemaker and the steps you need to take to get there. Find your niche: Some people like being all over the place. Admittedly, I fall into that category at times. One of our current problems in SF is that our mandate can be interpreted as too broad and that can limit our effectiveness. We do incredibly well in our niche areas but not so much when we spread ourselves too thin. Find allies: sometimes there’s an inclination to think you can take a stab at it alone. But whether it be for establishing your initiative (finding a co-founder), or assuring it’s growth, you need allies, whether individuals, partner organizations or funders. Expand your networks: Don’t just confine yourself to your own field. We wouldn’t be where we are if we limited ourselves just to STEM students and STEM-related partners. Keep going, but also take time: this is a never-ending process. You need to get out of your comfort zone to share your ideas. It’s OK to take time off every now and then, both for yourself and for your organization and those around you. I used to see this as a taboo, but sometimes it’s necessary, especially when you’re also a student! Burnout has been a great burden for many of our team members and the antidote to that is clear.